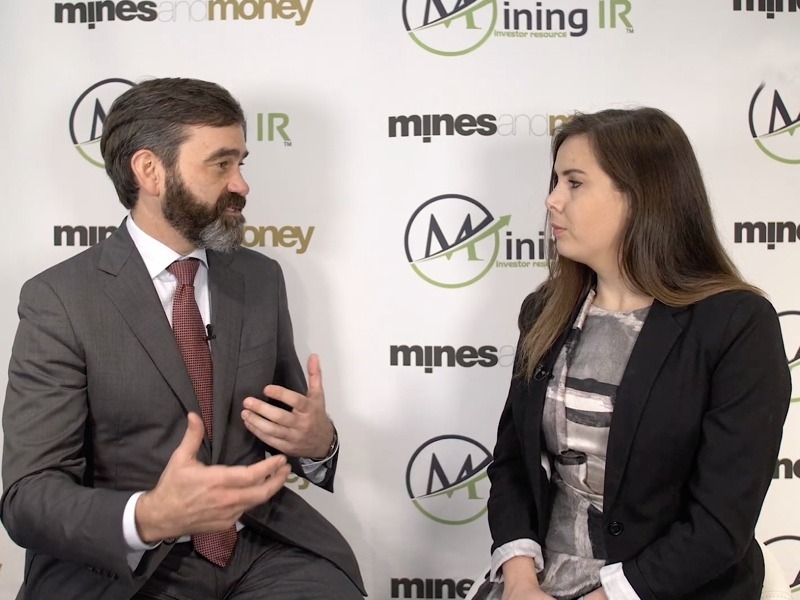 We caught up with Thomas Ullrich, CEO of Aston Bay at Mines and Money London. Aston Bay are focussed on copper and zinc exploration in a couple of locations in North America. Their Aston Bay copper property is up in the north of Canada, at Somerset Island, Nunavut, Canada. Here they’re exploring a large, high-grade copper and zinc deposit. They undertook an initial drill program in 2018 and are using the data from that to refine their proposed 2019 summer drilling. Thomas also goes into some detail about their recent acquisition of Jack’s Fork Exploration. Whilst seemingly quite different from their project in the North, this central Virginia based project comes complete with integrated geophysical, geochemical and geological dataset covering this copper-lead-zinc-gold-silver deposit. The acquisition added Don Taylor to the Aston Bay Team, a name many will know as the 2018 Thayer Lindsley Award winner for his discovery of the Taylor Pb-Zn-Ag deposit in Arizona. So that’s a much-strengthened team for Aston Bay in 2019. We look forward to hearing more results from 2018s drill season, as well as some details on the targets they’re looking to explore in the summer. Aston Bay is exploring for large, high-grade, copper, zinc and precious metal deposits in Nunavut, Canada and Virginia, USA. The Company’s Blue Ridge Project in Virginia is the result of a 2018-completed transaction with Jack’s Fork Exploration Inc. where the Company acquired the exclusive rights to an integrated geophysical, geochemical and geological dataset over certain prospective private lands located in central Virginia. These lands are located within a copper-lead-zinc-gold-silver mineralized sedimentary and volcanic belt, prospective for sedimentary exhalative (SEDEX) and Broken Hill (BHT) type base metal deposits, as well as Carolina slate belt gold deposits. You can find out more about Aston Bay on their website, follow them on Twitter @astonbaycopper and connect with them on LinkedIn.